Help me, Blogiverse! I’m losing my figs! Is there any hope for these figs? I have a honey fig that grows two crops a summer, but my summer hasn’t been long enough for the second crop to ripen. (It rarely is long enough, but this year there are lots of late figs.) The leaves are fading and dropping off, but there are dozens of figs that haven’t ripened. Does anyone have tips for getting them to ripen after picking them? Or what if I cut the branches and put them in water in the house? Or… ??? Fig experts, please help! This fig tree was a gift from my mother after we visited Italy. Fresh figs were a revelation to me, as I had never lived where figs grow. I’d love to salvage them if they can be used. Take a look at this wonderful concoction and see if your mouth waters! Do you like figs? How do you like them best? Please leave a comment! UPDATE! Good news/bad news. There is a way to ripen the figs, but I have missed the time frame for it! 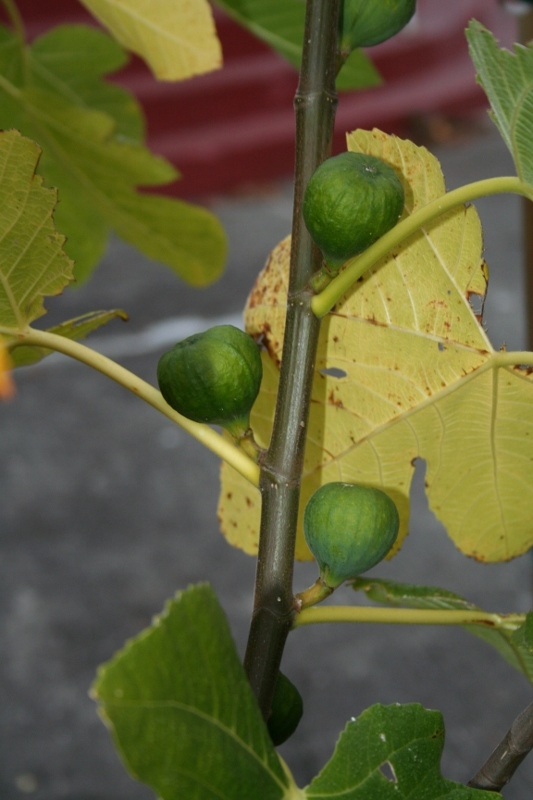 This entry was posted in Food and tagged figs, food, growing figs, harvest. Bookmark the permalink. Rocket is what the uninformed call arugula according to an old Australian I met at a restaurant in Naples. I have just one question, what the heck is a rocket????? It’s another name for arugula–pretty common in Europe to call it rocket or roquet. I like them off the tree. Sorry I can’t answer your question on how to save your figs.